Stainless steel sounds like a nice investment … until people realize that there’s actually a lot of maintenance that goes into keeping those pots and pans nice and shiny. But no one wants to spend a lot of time or money cleaning their kitchen appliances. It can be especially difficult if you have lots of people in your kitchen — especially lots of little hands. Stainless steel might not stain, but it sure does smudge easily. 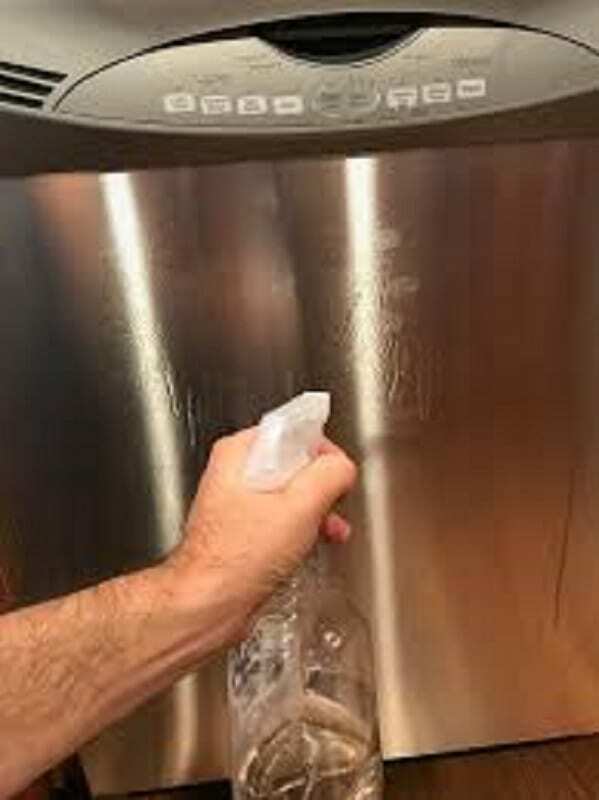 Add watermarks on top of that, and it can feel like a never-ending task to keep those steel appliances clean and shiny. So, what are the best ways to keep your stainless steel looking great? Thankfully, there’s no need to rush out and buy any expensive products. You probably already have everything you need at home. 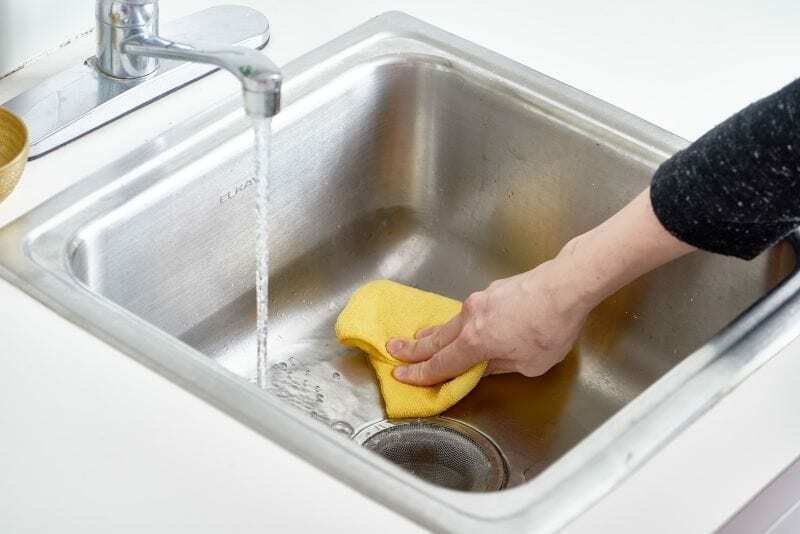 “Simple water should get off most of the marks from your appliances, but if you need something with a little bit more muscle, you can use vinegar,” said YouTuber Melissa Maker of Clean My Space, adding that a microfiber cloth is a natural pairing to get the grit out of stainless steel’s grain. Vinegar is popularly known as a jack-of-all-trades when it comes to household cleaning. It’s a natural antibacterial and a stain fighter, and it doesn’t leave a strong odor behind (even though you’d think it would). And it just happens to be great for polishing. 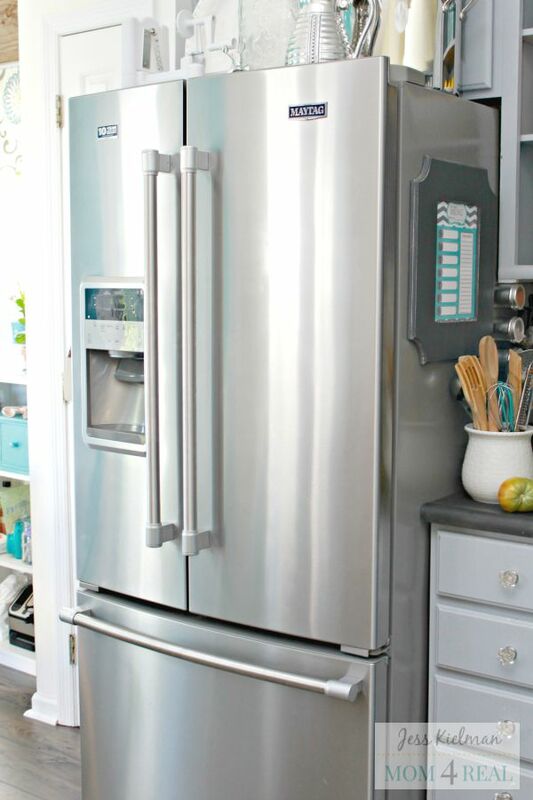 To polish your stainless-steel appliances, tackle the surface with vinegar and oil. You can use vegetable oil, olive oil, baby oil, or really anything else that works best for you. If you’re worried about the vinegar staining or stripping any surfaces in your kitchen, feel free to dilute it with some water. After all, it can be a powerful natural substance. After that, all you need is a microfiber cloth. These cloths are perfect for kitchen cleaning. They’re covered in tiny hooks that easily scrape up dirt and grime for beautifully clean surfaces. First, spray the steel surface down with some vinegar. Wipe it away with the microfiber cloth, making sure to wipe with the grain of the steel. This will make sure you really strip away all the dirt and grime and avoid scratching the metal surface with those tiny hooks. When you’re satisfied, add a couple drops of oil and repeat the process: wiping onto the surface, moving along with the grain. Make sure you use a different part of the cloth to avoid mixing the vinegar and the oil. Lastly, use a dry part of the cloth to buff everything to a beautiful shine. Maker said her favorite quick shine-up for stainless steel is a bit different: isopropyl (rubbing) alcohol. 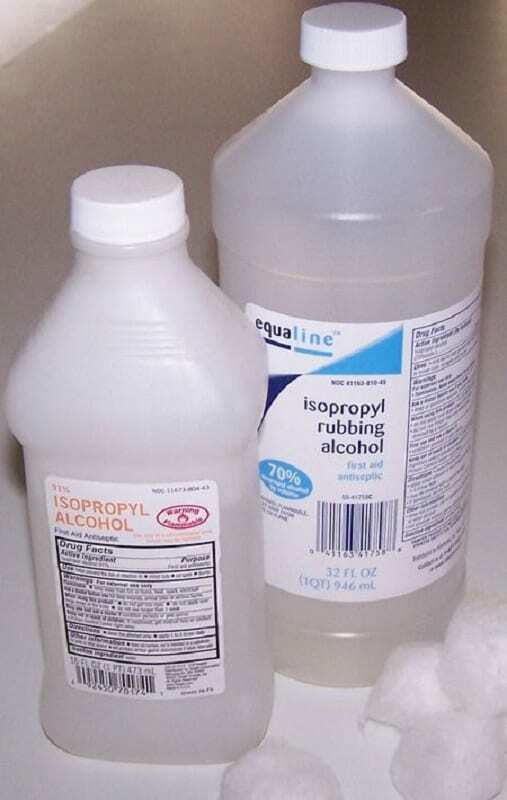 Isopropyl alcohol is a common household item that can be found at almost any grocery or drugstore around. Her preferred method is to combine equal parts rubbing alcohol and water in a spray bottle. Then, spray down just like you do with vinegar, following up with a microfiber cloth for drying and buffing. 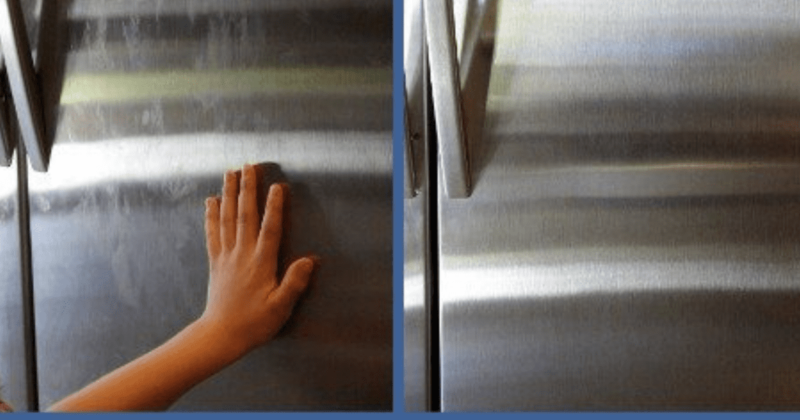 This method makes stainless steel appliances amazingly polished and shiny. It is a perfect way to not only get out grime and smudges but also leave your kitchen gleaming. If you have stainless-steel pots and pans or a stainless-steel sink, there’s another surprising cleaner that you can find in your kitchen: flour. This should probably be reserved for anything that can be cleaned above a drain since flour tends to leave a big mess behind. Try this method after using either alcohol or vinegar for the actual cleaning part. Once you’ve scrubbed away any grime, coat the surface with flour and wipe it away with a dry cloth. 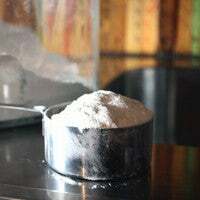 The flour soaks up any grease or oil that is left behind, leaving a surface that is buffed and shiny. It’s a surprisingly easy use for an item that almost everyone has in their pantry. You probably won’t even have to hit the store for most of these items. If you don’t have microfiber cloths, clean cotton cloths can work just as well. 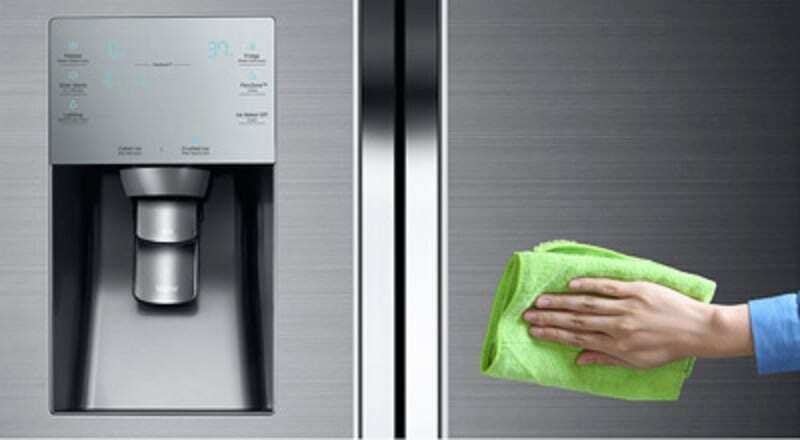 With these common household items, your stainless-steel appliances will be gleaming in mere minutes.